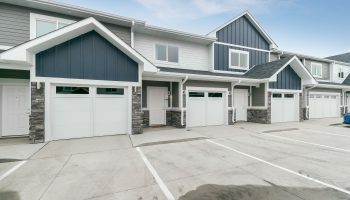 Lloyd Companies is looking forward to beginning two needed housing projects in Sioux Falls, thanks to tax credits recently awarded by the South Dakota Housing Development Authority. “Affordable housing in an important part of our mission,” said Mike Crane, our director of affordable housing at Lloyd Companies. The next projects will be The Residence at Greenway and Technology Heights II Apartments. The Residence at Greenway will be a 42-unit project providing housing for income-qualified seniors (62+) and residents with disabilities. Lloyd Companies will demolish the existing 1970’s era apartments currently located at 3008 E. 26th Street and construct a new building consisting of one- and two-bedroom units in its place. Lloyd Companies will work with Affordable Housing Solutions to provide program and staff support for project residents who need help with daily living activities. 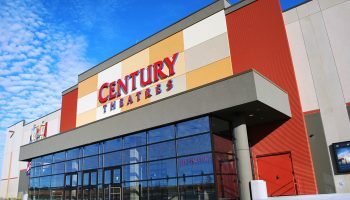 The $6.1 million project will start construction in June 2019 and is scheduled to be complete in June 2020. Technology Heights II Apartments located at 3810 N. Career Avenue is phase two of a successful project. Phase II will include 39 units in a mix of one, two and three-bedroom floor plans. 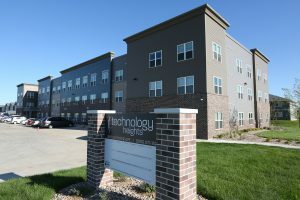 Lloyd Companies will build and manage Technology Heights II Apartments while partner Y Housing III, LLC will own it. The $6.2 million project is scheduled to start in May 2019 and be completed in June 2020. “This project is in the northwest quadrant of the city, close to education opportunities at Southeast Technical Institute and the University Center.